One month ago today, the dream came true. After a decade of hoping, more than seven years of writing, two years of editing, and lifetime of living a hard-to-live story, Undone: Making Peace With An Imperfect Life came to life. The past month has been a whirlwind, in part because of book launch-y stuff, but mostly because the mere act of healing (it’s full-time work, baby). That’s why today, for a minute, I simply want to stop. A dream deserves savoring, both before and after it comes true. Especially when so few expect it to fly. 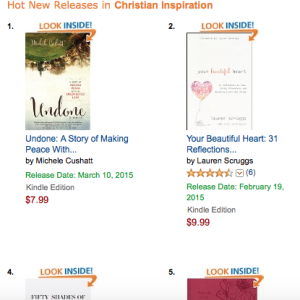 Undone Ranked #1 In Christian Inspiration! On March 10, book release day, I was three short weeks out from surgery. Three weeks from an intensive chemo and radiation regimen medical staff called the “worst of the worst.” Three weeks from the lowest point of my entire five-month journey. By March 10, I felt lucky to be alive. I still had a tracheostomy opening in my neck. Significant burns on my skin. I slept sitting up, when I slept at all. I’d lost a total of 35 pounds, weighing far less than a 5’7″ woman should. I couldn’t eat, had barely started drinking water again. And I was on 24-7 narcotics to make the pain I felt every second tolerable. I was in NO position to launch a book. For those who don’t know, a new author who is completely unable to promote her book is a sales death sentence. There was NO WAY a new book by a new author would have any kind of success. No guest posts, personal posts, or stock posts for influencers. I couldn’t monitor social media streams or create my own content. I couldn’t develop graphics or quotes or pinterest boards. I couldn’t organize a book release party or fly off to various churches and conferences to speak to potential readers. Webinars, interviews, and book clubs? Out of the question. Instead, on March 10, I slept. Three of my dearest friends flew in from opposite ends of the United States: Kathi Lipp, Crystal Paine, and Renee Swope. They knew it wouldn’t be a typical launch, but didn’t want my day to pass in isolation. They sat on my family room couch, working on various personal projects, while I slept a few feet away. Every now and then they checked Amazon. To see if anyone was buying Undone. And that’s when they saw the unthinkable: Undone was climbing up the list. Breaking 1,000. Then 500. Finally reaching the #150 slot. Then they saw it at #2 in Hot New Releases. And then at #1 in Christian Inspiration. During one of my brief waking moments, they shared the news. I was sure I was hallucinating. Books that authors don’t promote don’t sell. Why am I telling you this? It’s not because I care all that much about sales. Let me be frank: When you face death, sales numbers don’t even show up on the radar. 1. A dream never goes exactly as planned. So I didn’t get to launch my own book. Oh well. I’ve yet to meet anyone whose dream brags perfect execution. In addition to my “sick state,” there were other unexpecteds along the way. The ordered books that never arrived. The packages sent to wrong addresses. The bookseller who sold the book weeks before release. Mishaps are part of the deal. Breathe. Don’t panic. If you can, laugh. Sometimes Plan B is the better gift. 2. The best dreams always involve a team. Oh, this. THIS! As much the “success” of Undone thrilled me, it was all the sweeter because I had so little to do with it. My management team ROCKED the pre-launch, grabbing the steering wheel and driving the process. Not to mention what I fondly refer to as “the best book launch team to have graced the planet Earth.” No kidding. This team of 300+ not only cared for my heart for a solid month before the release, they talked about Undone as if it was their dream. I learned something from them: A dream is only as sweet as the people who help you to reach it. 3. Do your best, then let your dream fly. When it comes to the achieving of our dreams, we put an inordinate amount of pressure on ourselves. Yes, we need to take responsibility. Yes, we must be willing to own it, put our names on the line, and work hard. But once we offer up our best? We need to let go. My letting go was a little more extensive that yours, I hope. But there was a freedom in knowing I could do little to make “success” happen. Instead of stress, I enjoyed the process. 4. Real life is far bigger than one dream. I can be a driven woman (that probably bears repeating). When focused on a project, I can easily become consumed, thoroughly wrapped up in the execution and realization of the goal. But as I vacillated between sleep and wakefulness March 10 (and the many days that followed), I didn’t obsess over the book as much as you’d think. Instead, I relished the three friends sitting near enough to touch. I gave thanks for my husband and children, who courageously battled with me through these past five months. I thought of YOU, thousands of online friends who’ve weathered the unexpected life with me. And I thought of God, my One And Only, who’s carried me in such a tangible way I’m almost breathless from his nearness. Book schmook. That’s the only “success” I really need. Friends, dreams are beautiful things. They give us stars to shoot for, evidence that we’ve been divinely created and uniquely called. But we mustn’t allow the pursuit of those dreams to fool us into thinking that’s all there is. There is far more joy to a dream than simply its moment of realization. Remember. It’s more about the story than the last page. And the greatest stories show up right in the middle of the mess. What lessons have you learned from the achieving—and reaching—of a dream? It has been a privilege to be a part of your book launch team! I know exactly what you’re talking about regarding being very focused on a dream and watching it unfold in an unexpected way. I’ve seen it happen numerous times before as a competitive swimmer and now as I try to seek publication. Stacey, you have been one of the longest and most steadfast supporters. How many years have you been following this blog and encouraging me along the way?! You are a gift to me. You were diagnosed with your first round of cancer around the same time I first started going through testing for my thyroid. (Back in early 2011.) It seems like when I’ve been through a valley, you have too. Your words have encouraged me to write deeper. What a beautiful addition to the Undone story! I have learned that the best part of a dream is the unexpected blessings along the way. As I launched books, God brought two women to my side who were also launching books. Although we are spread out across the US, these two women have become very dear friends, constant encouragers, prayer warriors, and the ones who challenge me to continue stepping forward in faith. I love that! My author friends are some of my most treasured relationships. There’s something about sharing this oft-difficult writing journey with those who truly understand. 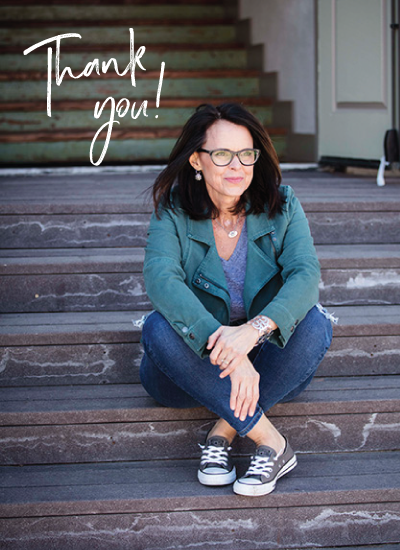 Michele, it’s been an honor and a privilege to be a small part of the book launch team – to be able to support you during your time of suffering so that we can rejoice with you in the goodness and glory of our God. What you’ve shared today takes my breath away. Thank you soooo much for being willing to live your life out loud! You’re making a difference. Thank YOU, Kim. You helped make this dream come true! So grateful for you. 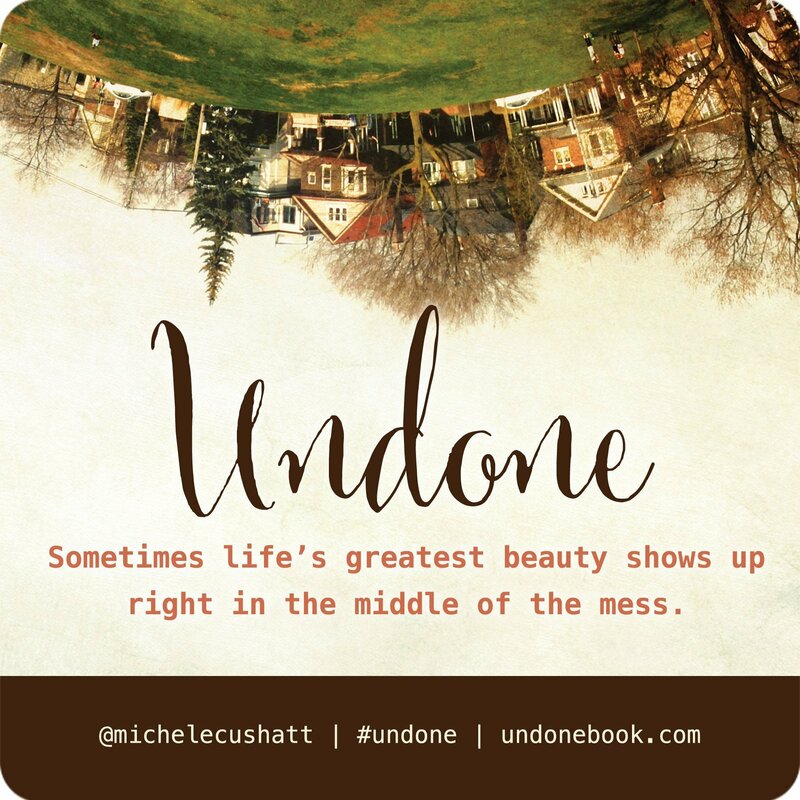 Mechele, I wasn’t one of the launch team because of my own medical problems but I preordered Undone and I can tell you how I felt which is probabaly how the 300 felt…it was our dream too! And obviously? It was God’s dream. That was a wonderful book and I have shared it with some special women who read it and agreed. That book has and will touch so many. Thanks for writing it! You have been one of the most faithful cheerleaders and supporters. Thank you, Linda. I treasure your friendship! God bless you in your healing and give you many more inspiring words to share! Thank you so much! Congratulations on the success of the dream and for winning your personal battles. It’s so true what you say; it boils down, really, to the people in our lives who are there to carry us through the good and the hard…even the hardest. My heart hurts for those who haven’t cultivated the deep relationships that hold such great value. I lost my beautiful mother February 23rd of this year. When we learned of the return of the lung cancer early last year, we both committed to a plan that would allow her to pass in her own home with her beloved kitty on her lap. Because I had learned some hard lessons about money earlier in life, I was financially able to go without a job so that I could be available (and eventually live with her for the last six months of her life). Yes, Ree, I agree. Wealth—-big or small—-allows a measure of giving. And, even better, the ability to dive deeper into special relationships during those critical seasons. I’m so glad you had the opportunity to invest fully in those six months with your mother. What a precious and sacred time for you both! I am working on my dream, to be published and make difference in the lives of others. I consider it a sacred privilege to have been part of your book launch team (stuff that is launched, like a rocket, will accelerate at a certain spot in the stratosphere!). I simply have been blessed to do so! Oh Michele, what a joy it was to be on your launch team. I cried my way through this blog post today, as I shook my head in wonder at your continuing story. God is so good. And I’m thankful that you felt well enough to sit down and write this note to us. I have my own writing dreams sitting on the desks of two different publishers right now, and your testimony is so good for my soul. I thank God for you. I pray he will continue to heal your body and pour grace over your family. May your own children benefit from watching God’s work in your life and be forever changed by what they’ve witnessed. May God make your marriage ever stronger. May your words continue to point us to the goodness of God. 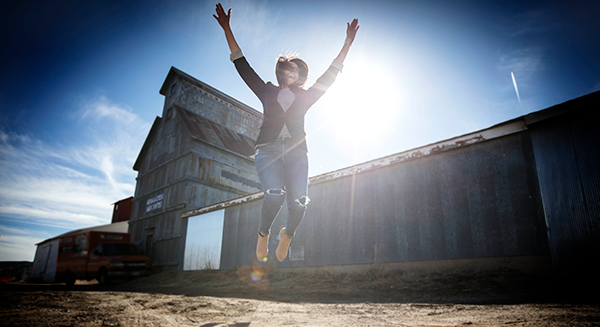 Your life has been out of the ordinary… why wouldn’t your book launch be too? Honored to be walking with you. I CAN’T WAIT to see lives changed through your beautiful heart and your powerful words. It was an honor to be a part of this launch team and to pray and cheer for you as your book dream became reality. The world needed Undone. Thank you for being you and for sharing your story. Wow! Thanks for sharing. Yes indeed, it’s all about the Story. Thank you for allowing us to share in yours – and by so doing, marvel at the goodness and mystery of our precious Savior. Michelle, thanks for another great post–and you’re right on. 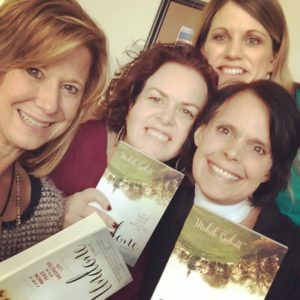 I’ve followed your incredible journey with a smidgen of understanding, knowing the nagging fear that comes along with cancer and also as a writer with a long-awaited book launch that came in second in my mind. I agree with you completely. Dreams are wonderful, but there’s more to life and sometimes they do come true in the middle of a mess. I think that’s to remind us that what matters most are the people we love and life and health and knowing God is carrying us through. When I applied to be on the launch team (yours is my one and only..so far) I thought I’d get a book, read it, and post a review. I didn’t expect to fall in love with you, and even more with my Savior for how He’s loved you. I didn’t expect to feel like we had been friends forever, feel so invested in your treatment and healing. 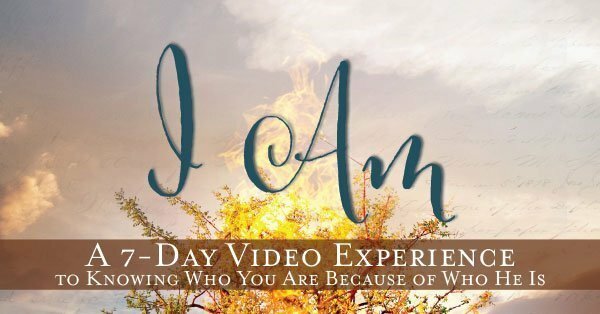 Yet, here I am, loving you more each day as you open your heart, share your story, and give Him glory. Thank you for sharing your struggles. You bless and encourage me. I have gifted a few friends with Undone and expect to order more as Mother’s Day gifts. How I pray they will encourage my friends to fall in love with Jesus as they read your story. “Undone” daily. Blessings to you! You and Michael have been one of my daily doses of inspiration as I make my 50 minute commute to work each day. You both inspire me to be my best. I’ve listened to the heart episode twice, and I will probably listen again. It made me realize how I have been holding back my heart since I was wounded deeply in 2010. Thank you again…and prayers for a speedy recovery, and back in the studio too! Your story is amazing Michele! It resonated with me on so many levels; your personality and many of the same experiences. But even more amazing is what God did in spite of what couldn’t be done in the natural to promote your book. He showed up in a mighty way so it could be used for His glory and minister to others. 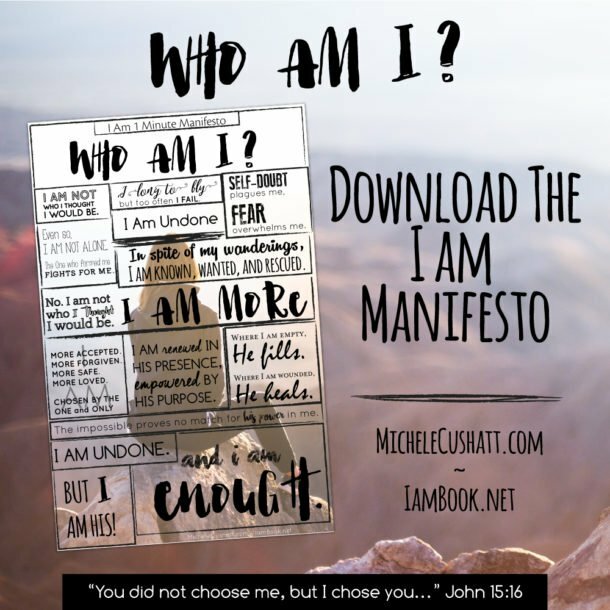 It was Michael Hyatt’s blog where I saw the promotion of your book. Although I wasn’t familiar with you or your work at the time, I was drawn to purchase it for some reason. As I write this I now know why. I pray God’s healing and blessing over your life, and that of your family. May He continue to show himself real in fresh new ways. We are so blessed to know you through your speaking and writing. My thoughts and prayers travel to you and your family often. Well Michele your book left me “undone”. I had been to Proverbs 31 last summer and attended your seminar on Storytelling and I was mesmerized. When I read your book Undone I was mesmerized once again. God so clearly has his hand on your life and your family,even though its doesn’t always feel like it. Sometimes it can feel like a choke hold….but at the other end of the journey you can so clearly see his fingerprints all over the situation. My prayer is that your journey ahead will be far less eventful and that you can enjoy a season of peace and good health. You will remain in my prayers you have been such an inspiration to me…..much love and thanks. Michele, I read undone almost in one sitting. Then I started again. Your story has really touched my heart. As I wrestle with my own, unexpected life, I am thankful for a fresh sense of perspective and a reminder of Who this life is for. Your words have reminded me to seek Him for increased resilience, courage, Grace and a heart that is thankful in all things. I spent 3 years working on a book that arrived 3 months late, erasing my ability to plan anything that resembled a “launch”. Instead I flailed around like a headless chicken getting it in the mail to beat the Christmas mailing deadline, all the while dragging my rear like a whipped puppy. It is time for me to figure out how to get these moving now. You are an inspiring role model – thank you! Been praying for you and will continue. Thank you so much for your faithfulness and willingness to take us along with you on this journey! It has been such a blessing to read your story and learn of your strength, weakness, dancing and panicking! I have been honored to share your book with some close friends and invite others to join us in a book study. Your transparency has opened the door for our group to be honest about our struggles and journey. Thank you again and many blessings in your continued journey! I was greatly inspired by your book. Read it this week in one afternoon. Wishing I could give my church the gift of you speaking on Mother’s Day, which of course, is not possible this year. However, I am buying a pile of books to hand out to all the moms. Giving one this afternoon to a dear church friend diagnosed this week with uterine cancer. I think I am an unofficial member of your launch team. Praying for you this day. I heard you speak at She Speaks last year. Bought the CD and have listened to your talk a couple more times! I wanted to let you know how helpful it has been for me as I’ve prepared to speak several different times. Thank you for such practical advice! Since She Speaks, I’ve been following your treatments. I continue to pray for full healing and returned energy! Many blessings to you. I heard you speak at She Speaks last year. Bought the CD and have listened to your talk a couple more times! I wanted to let you know how helpful it has been for me as I’ve prepared to speak several different times. Thank you for such practical advice! Since She Speaks, I’ve been following your treatments. I continue to pray for full healing and returned energy! Many blessings to you. Congratulations on your book!! I don’t think I’ve ever written a comment/review before (even though I am a book lover!) In this case, I had to! What a gift of communication God has given to you. Thanks for the courage it took to be so raw and so real. I HATE what you are going through and am praying for your healing, relief from pain, discernment, wisdom, your precious family, and all that you need at this time. I notice from a few comments that you have presented at She Speaks before. I am attending for the first time (God willing) this summer. I have no idea of your plans (change in plans?) for that this year. I will be on the look-out for you. Please know that I will be following your story and praying and cheering for you all the way. May you sense God’s love, grace and peace in very tangible ways today!